[Abbotsford, BC] – Teens and tweens will soon experience interactive virtual reality fiction at their library. Fraser Valley Regional Library (FVRL) is launching Inanimate Alice: Perpetual Nomads at three library locations in Delta, Maple Ridge and Abbotsford, starting November 2018. This program uses the HTC Vive VR system to immerse participants in the world of Alice Field, a fictional teenage girl with a globetrotting family and an interest in video game design. This new initiative builds on the success of FVRL’s virtual reality programs, which have been popular with young people throughout the Fraser Valley. 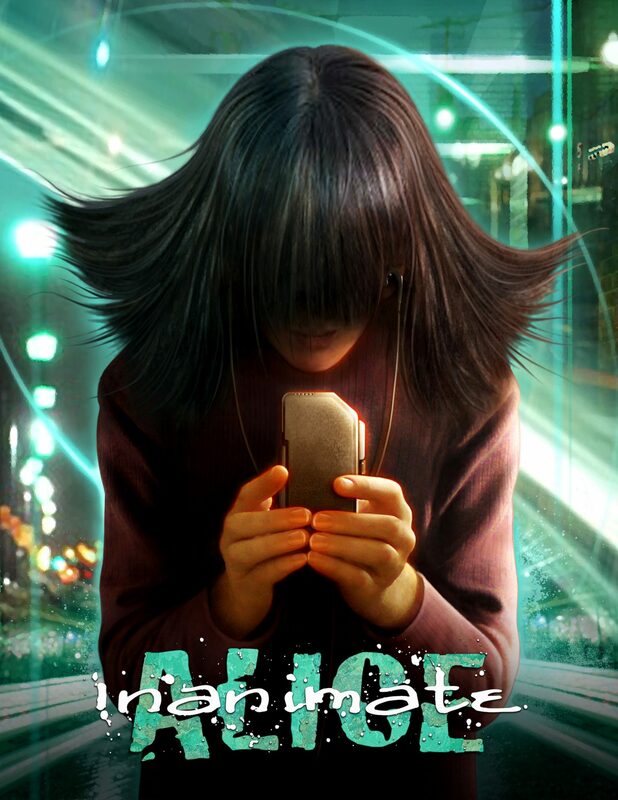 Inanimate Alice: Perpetual Nomads takes library VR a step further by immersing participants in a world where they play a fictional character and solve problems to move the story forward. Perpetual Nomads is the most recent installment in the Inanimate Alice “digital novel” and the first to be offered in virtual reality. This award-winning series – a co-production of Nanaimo’s Bradfield Narrative Design and Australia’s Mez Breeze Design – uses a combination of text, sound, imagery and gaming elements to engage viewers. The series is laced with themes that resonate with today’s youth, such as striving to stay positive in the face of global upheaval and geographic displacement. In Perpetual Nomads, Alice finds herself alone in the middle of the desert, stuck on a broken down bus. Her phone battery is quickly dying. What’s Alice to do? Over the past two years, FVRL has promoted STEAM education (science, technology, engineering, arts and math) through its Playground collection. The FVRL Playground offers a variety of lending items and in-library experiences, including virtual reality, telescopes, robots and ukuleles. Fraser Valley Regional Library is the largest public library system in British Columbia, with 25 community libraries serving almost 700,000 people in its service area. Established in 1930, it is funded with taxes raised in the community it serves, plus a Government of BC operating grant. The governing Board consists of elected officials representing 15 member municipalities and regional districts. With its mission of “opening minds, enabling dreams,” FVRL plays a prominent role in the communities throughout the Fraser Valley. Previous PostStartup Grind Chilliwack is Rebooted!